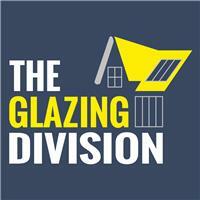 The Glazing Division - Glass, Windows/Doors/Conservatories based in Rowhedge, Essex. Welcome to The Glazing Division's Checkatrade page. We were born out of the need to provide a trusted, reliable, professional bespoke and traditional glazing service to trade and retail customers. Make The Glazing Division your first and only call for all your glass and glazing requirements. At The Glazing Division we pride ourselves on offering the best service available. Rest assured that after your initial contact with us you know you will be in safe hands. Our team of installers, managed by Neil, Paul and Kelvin, have over 100 years’ experience, meaning that we can offer honest advice with no sales gimmicks. We undertake all types of glazing work including the replacement of broken glass and misty sealed units. We also install roof lights, walk on floor glass, replacement perspex, secondary double glazing, bespoke shower enclosures, painted glass, splashbacks, mirrors, frameless glass office partitions, large shopfront glass, all types of internal and external balustrading and emergency boarding up. We are the one stop shop for all your glass and glazing requirements. We deal with the smallest of jobs to the largest of contracts, we can manage it all with quality installations at fantastically competitive prices.